I believe we have a choice to be happy. Because life is too short and too special to be unhappy. You can start to choose happiness by surrounding yourself with positive people and positive messages. Watch good news and heartwarming stories versus watching the news all the time. Put yourself in the presence of fun, upbeat, positive personalities. Start looking for a job that is more fulfilling. Allow yourself time and space to experience balance in your life. Read books from the personal growth section instead of ones about murder and crime. Laugh at least once a day. Like, a good, full-belly kind of laugh. Find a positive hobby. Learn in. Invest in it. Call a friend. Set a specific time to visit soon. Read The Bible or find a good devotion book that speaks to you and your soul. Listen to fun, upbeat music. Give up gossip and unfriendly conversation. Find the positive in every, single day. Even if that’s the fact that the only thing that went right today was they got your order right at McDonald’s. 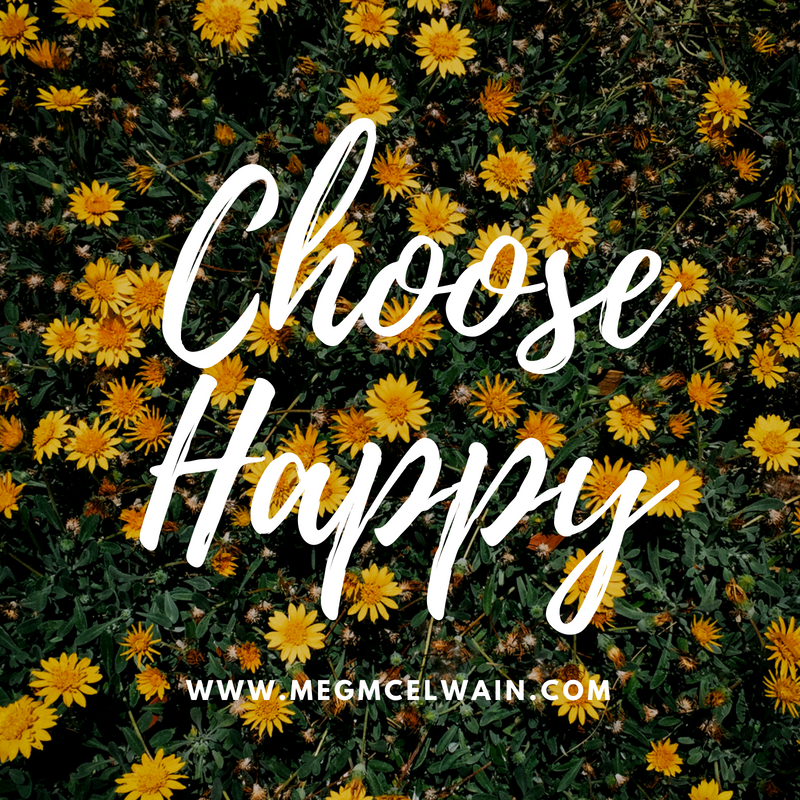 Whatever it is, however your day unfolds, choose happy.